Getting Started on Property Business: What is Real Estate Investment Trust? Generally referred to as “REITs”, Real Estate Investment Trust is a form of investment created by the Congress in 1960s to give Americans the opportunity to invest in real estates. Real estates that are owned or financed by REIT companies are income-producing real estates. 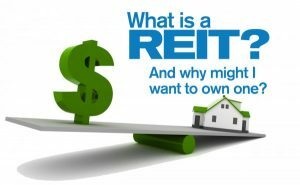 The existence of REITs allows average people to own or finance properties in the same way shareholders benefit by owning stocks in the stock market and by owning shares in corporations. There are numerous kinds of REITs that correspond to their own industry. Investing in these REITs must be backed with the knowledge and sufficient research to the corresponding industry, just as in the matter of any type of investment. REIT companies must pay a minimum of 90% of their taxable income to their shareholders in dividends. Five or fewer individuals must not own more than 50% of the company’s shares. Here are the most common types of REITs. Investors are advised to be aware of population and occupational growth when it comes to considering to invest in residential REITs. Naturally, the biggest residential REITs tend to focus on areas with the highest prices on individual houses, where people tend to prefer renting. Large urban centers and metropolitans such as Los Angeles and New York are their biggest focus. The financial state and health of the retail industry may very well affect the state of the REITs that focus on retails. Make sure to make an informed decision through industry assessment before jumping into retail REITs despite the sheer size of the retail industry and thus, retail REITs. Assessing future possibilities such as the gradual shift in trend to e-commerce should also be considered. Medical centers, hospitals, retirement houses, nursing facilities are some of the establishments healthcare REITs tend to focus on. Just as the previous REITs, the healthcare REITs financial state highly corresponds to the industry’s financial state. REITs that focus on office buildings usually come from long-term leases. Investing in office REITs may depend on a large variable of factors, from employment rate, job vacancy, to the general economic state and growth of the area at large. These are simply some of the most common types of REITs and the list is by no means exhaustive. You might be interested in a certain type more than the others. Make sure to do a background research for both the REITs company as well as the industry you’d like to focus on.